Here we are discussing about improved techniques and innovation of current care systems. “Time is brain and, for too long, we have been content managing the consequences of stroke. Times have changed, the stakes are too high and patients entrust us with their lives” said Perer Antevy, Ryan A. Mctaggart Md and Mahesh V. Jayaraman Md in an article on Emsworld. If the likelihood of dying in hospital from hearth attack was about 20% in 1975, the management of acute MIs took a drastic turn in the late 1980s with the use of aspirin, and then with the introduction of primary lytic therapy. At the beginning of the millennium, several studies demonstrated the benefit of primary PCI and EMS agencies started transporting all STEMI patients directly to PCI centers. This revolution has occurred thanks to both the improvement in technique and the innovation in care delivery. On December 17, 2014 the New England Journal of Medicine has published online the first positive randomized and controlled trial, named MR. CLEAN, to support the direct removal of clot (embolectomy) in patients with a stroke caused by the occlusion of a major blood vessel at the base of the brain. MR. CLEAN took place in Netherlands and randomized for a disease (a large vessel occlusion) whereas prior studies have randomized for symptoms. There have been other similar trials and in all of them, patients in the embolectomy arm were about twice as likely to achieve a good outcome as patients who received the current standard of care (IV tPA) alone. According to emsworld the benefit was seen in all primary and secondary outcome analyses with an absolute difference ranging between 13.5%–31% in the rate of functional independence; only 4–8 patients need to receive this treatment to achieve functional independence over standard therapy alone. More of the 25% of patients will die and the rest will be disable if denied access to direct clot removal. That is why EMS agencies now have a real obligation to develop innovative triage strategies and consider direct transport of stroke patients only to facilities that offer both IV tPA and mechanical embolectomy in a timely and efficient manner. 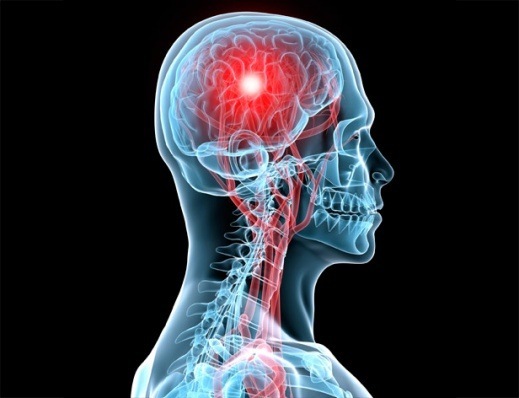 The Society of Neurointerventional Surgery has introduced a new term to define stroke patients who have a similar acute vascular emergency, in order to warn healthcare community that stroke is an acute vascular emergency: Emergent Large Vessel Occlusion (ELVO). Have mechanical embolectomy teams available for those patients who require it. Since ELVO, like STEMI, has been established as a disease entity, EMS agencies have already begun evaluating mechanisms to improve its triage in the field using clinical scoring systems like the NIH Stroke Scale (NIHSS), Cincinnati Prehospital Stroke Scale, L.A. Motor Scale (LAMS) and Rapid Arterial Occlusion Evaluation (RACE) Scale. Can an app be useful in this process? The combination of RACE score transmitted through the Pulsara app, along with telephone or FaceTime communication between the paramedics and neurointerventional surgeon, will trigger early and parallel activation of the cath lab team for faster delivery of treatments to stroke patients with ELVO.